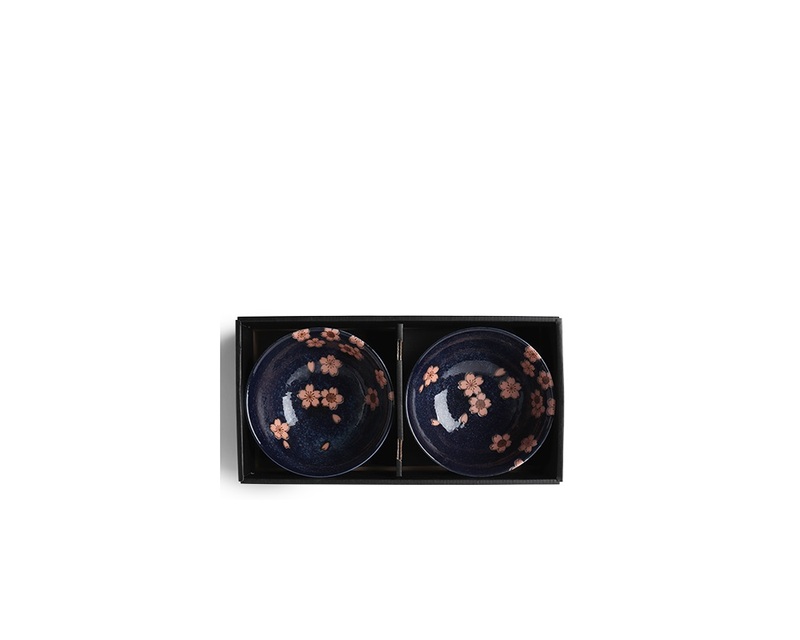 Blue ceramics with pink sakura design made in Japan available at Miya. 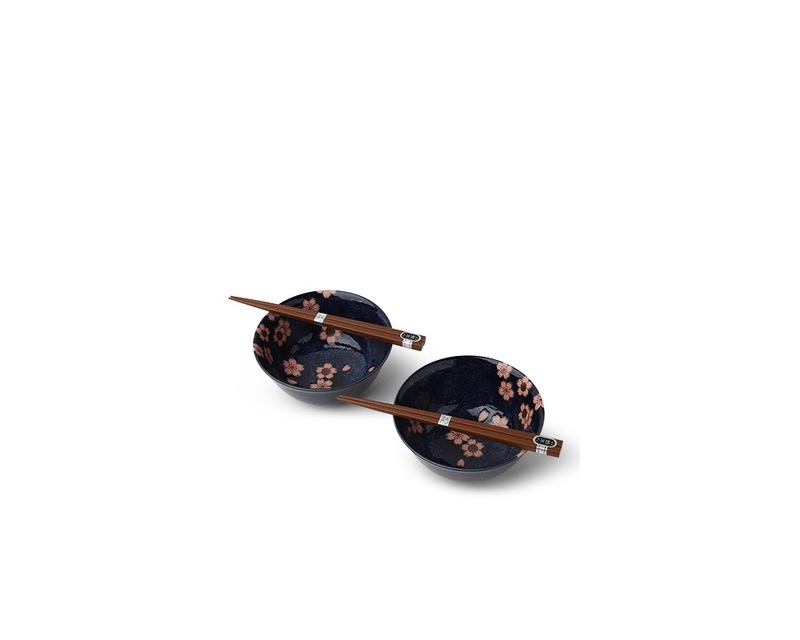 The combination of pink and navy is a new classic! 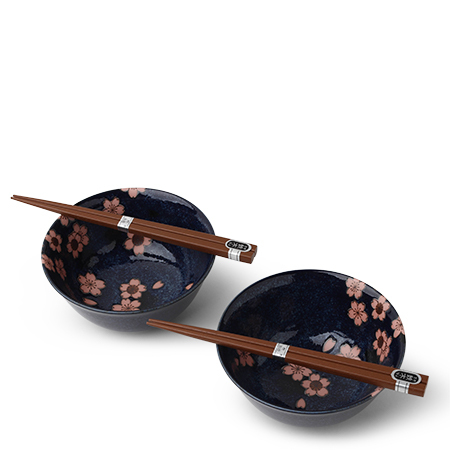 This beautiful pink sakura design against the dusky blue bowl is perfect for any decor. 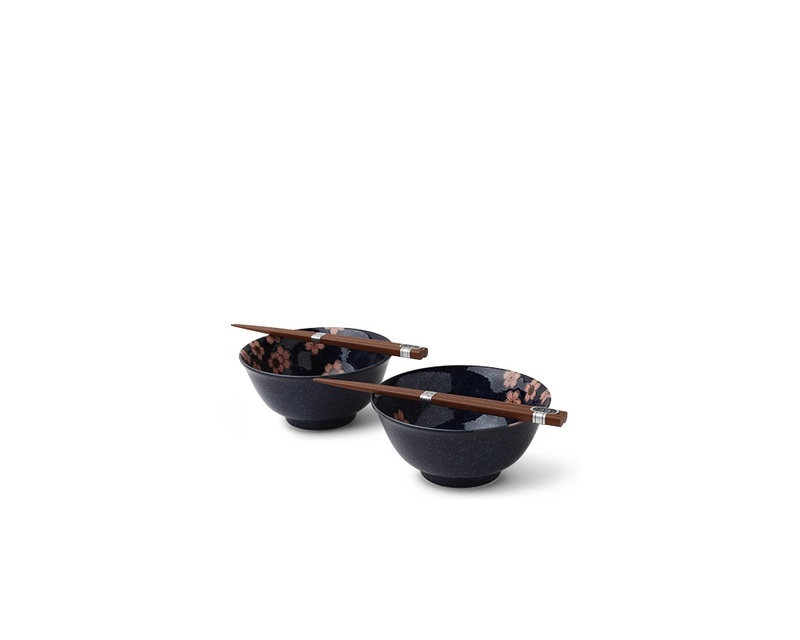 This two bowl set is a great size for soup, cereal, dessert, snacks, or a side salad! Makes a great housewarming gift. 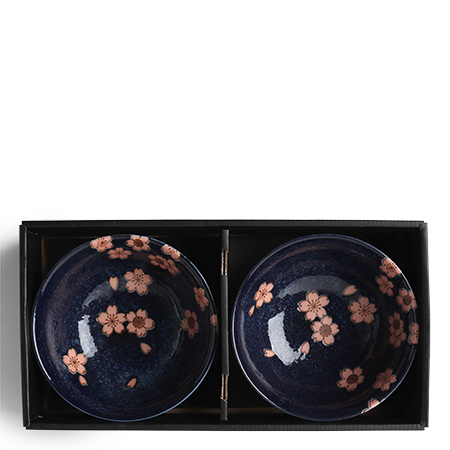 The Namako Pink Sakura Collection. 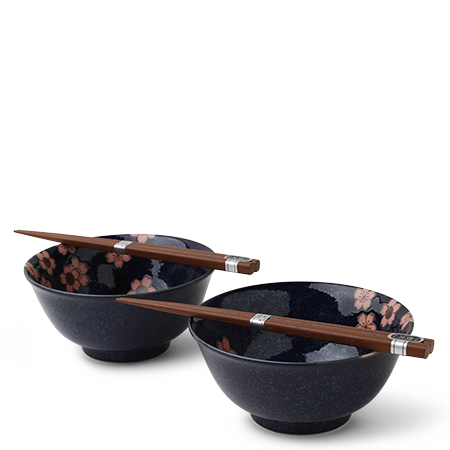 Two 5.75" diameter bowls; two pairs of chopsticks.